Maureen is a South Florida native, born and raised in Palm Beach County and has witnessed the tremendous changes and growth in South Florida. Maureen understands the benefits of living in South Florida with it’s incomparable weather, lively culture and diversity. Maureen’s knowledge and experience as a construction litigation paralegal and knowledge of HOA condo law, along with her enthusiastic and caring nature is a perfect combination to fulfill your real estate needs. Give her a call to start your life in paradise. I moved to South Florida as a child and have lived here all of my adult life. I was in the medical industry and have made a career move to real estate in order to assist people in finding the perfect fit for themselves and their families. Helping people realize the American dream is my dream. I am a real estate professional with vast international connections serving Florida, USA and the world! My experience of 25 years as top executive in the airline industry provided me with great financial and managerial knowledge that today are my assets when negotiating deals for my customers. When looking for a buyer, I provide a vast network of international, US-domestic, and local customers through the resources of the Global Alliance Membership, the Institute for Luxury Home Marketing Membership, and my international connections acquired when living in Chile, Colombia, and Mexico. Here in the U.S. I have lived in Miami, New York, and Delray Beach. Sellers will love the idea to improve their chance to sell their properties sooner when having a professional that can bring more buyers. I grew up in small town outside of Detroit, Michigan. After graduating from Eastern Michigan University I decided to join U.S. Navy. My 4 years in the service led me to some amazing places, including Africa, Hong Kong, Thailand and a climb to the top of Mt. Fuji in Japan. After 2 years of service overseas I moved to California where I met my wife, Carol. After marrying Carol I left the Navy to pursue a career in the Energy Business and start our new life in Louisville, KY. Little did we know we would spend the next 27 years raising our 3 daughters, starting and selling a business, and making life-long friends. During that time we also discovered the amazing beaches of South Walton. After years of renting homes in the area we decided to buy a vacation home in Watercolor. Our family enjoyed many wonderful vacations and a few crazy spring breaks! We sold our Watercolor home in 2014 to travel but knew someday we would come back. In January I moved here full-time with my wife and two dogs to pursue a career and life in real-estate. I look forward to helping you get your new life started and finding the home of your dreams in this incredible area! FLORIDA IS PARADISE is a team of professionals, affiliates and alliances that serve as a concierge for international buyers of real estate in the U.S. – supporting Chuck Pisciotta’s passion, integrity and performance as a Certified International Property Specialist – so that international buyers can enjoy Florida's sunshine – and overcome the obstacles of purchasing property in South Florida – from Palm Beach to Miami Beach – the #1 Real Estate Market in the U.S. for Foreign Transactions (June 2018, National Association of Realtors). Chuck’s 35 years of global knowledge on how other counties buy and sell property is how international buyers quickly get up to speed on surprises that can arise from laws and taxes created and enforced at each of the Federal, State, and local community levels – when searching for a property – making an offer – signing a “binding” sales contract – acquiring lending or paying cash for a property – acquiring title insurance – and transferring the property. This includes immigration restrictions, valuation and market conditions, property taxes, planning and zoning, health codes, environmental regulations, lending institutions, homeowner association and maintenance fees, and property management for absentee owners. 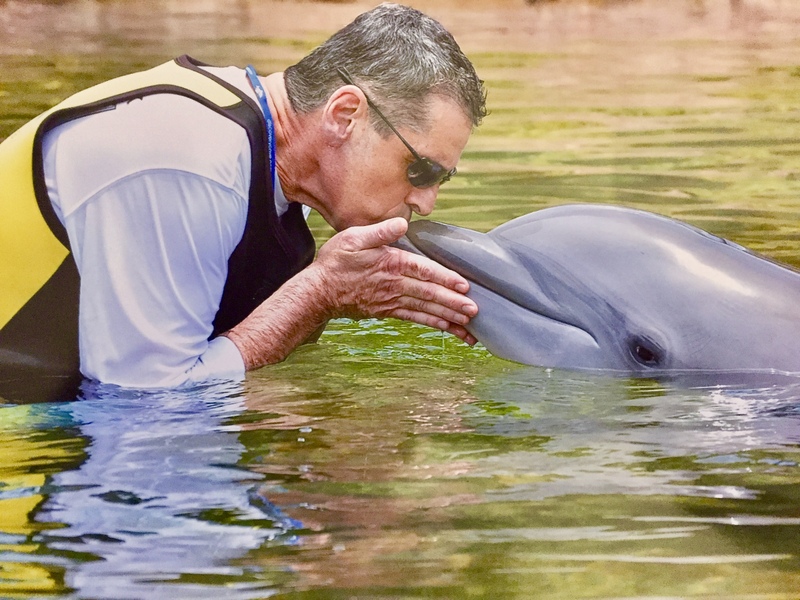 For all of Chuck’s real estate clients and customers, he looks forward to sharing how to bask year-round in our Florida sunshine, turquoise and emerald-colored waters, and most of all, how to kiss a dolphin. Realtor® with Silver International Realty 30 A, Inc. I was born in Berlin, and grew up in Essen, Germany. At age 18, I moved to Fort Lauderdale, Florida, and completed my Bachelor’s degree in Hospitality. For over ten years, I managed restaurants and served on the executive committee at the Fort Lauderdale Hilton. This experience gave me a strong commitment to hospitality and customer service. In 2012, my husband, two children, and Jack our little Maltese, decided to move to Santa Rosa Beach as we fell in love with the area over 20 years ago. Over the last two years, I have managed our investment properties, and have intensely studied the real estate market. I believe my hospitality and educational background combined with my in depth knowledge of the 30A real estate market will serve my clients well. My goal is to build a relationship of trust and integrity with my clients that last a lifetime. let me show you why you should invest in Santa Rosa Beach and why 30A is such a great place to live”. Elizabeth Echeverri is a local realtor with international experience. She has not only worked locally as a realtor, but also overseas for the past 20 years. She became a realtor after being an investor herself. As a realtor, Positive Psychology Coach and mother of four children, she works closely with buyers or sellers to meet their specific needs. She works diligently to find not only the perfect house but the perfect fit for each individual client. Her priority is to serve her clients in the best way possible, so they feel well represented and understood.